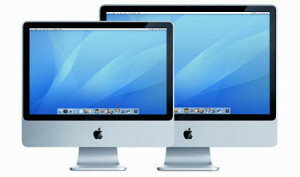 We offer a free estimate on your iMac! We’ll diagnose your iMac and tell you what’s wrong with it for no charge. Turns on but does not boot into operating system. Lines on screen, distortion on screen. Free cleaning on your machine. The iMac was designed to be an all in one desktop. It is also an all in one dust machine – the iMac traps the dust inside in a manner where the average user cannot open it to clean it out. While inside we will remove the plethora of dust & hairballs that clog up your machine over time, causing it to run hotter & slower than it did when it was fresh out of the box. The above is what we see most. Based on years of experience and know-how, we will be able to fix your iMac regardless of the issue. Our drives are solid state hybrid drives, far faster than the traditional spinning disks Apple uses. When you get your machine back, it will often be better than it was out of the box. Compared to other established repair centers, our prices are anywhere from 10%-40% cheaper. And compared to Apple? Fuhgeddaboudit! Read about our pricing philosophy here. The biggest worry for any customer – am I being ripped off? Our shop is based on honest business practices.